Jan. 18: Aurora Nealand & Friends – Sound It Out! 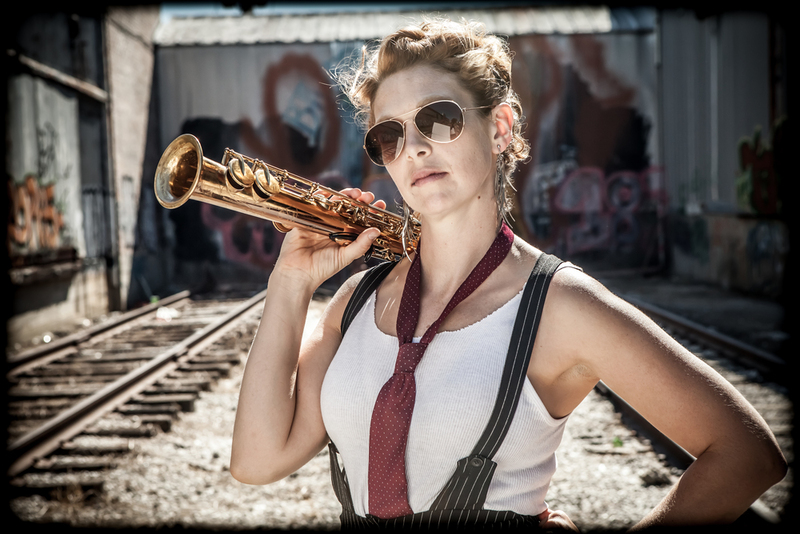 Charismatic singer and multi-instrumentalist Aurora Nealand pursues various muses – from trad-jazz and rockabilly to free improv and modernist composition – but she has a magic touch no matter what she turns her hand to. A sensation in New Orleans, Aurora has released three albums with her hot combo The Royal Roses, each more ambitious than the last. Aurora’s vocals brim with charm and an almost instrumental pliancy, while her playing as a clarinetist and soprano saxophonist has enough personality to rival nearly any singer. Now she’s on an extended visit in New York City – lucky us! For Sound It Out, Aurora teams with dancer-choreographer Shannon Stewart and a trio of bold New Orleans musicians to present a very special evening, including both improvisations by the redrawblak trio and compositions from Aurora’s project The Monocle.